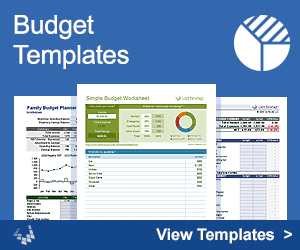 Download a FREE spreadsheet to analyze the HELOC or PLOC strategy. Using a HELOC (Home Equity Line of Credit) or PLOC (Personal Line of Credit) to help payoff a mortgage is a technique touted by some as a superior and advanced mortgage acceleration strategy. I created the spreadsheet on this page as an educational tool, mainly to show how almost all of the payoff acceleration comes from making extra principal payments, not from the paycheck parking technique. Before reading the rest of this page or using the spreadsheet, please read my blog article "10 Strategies for Paying off Your Mortgage Early." 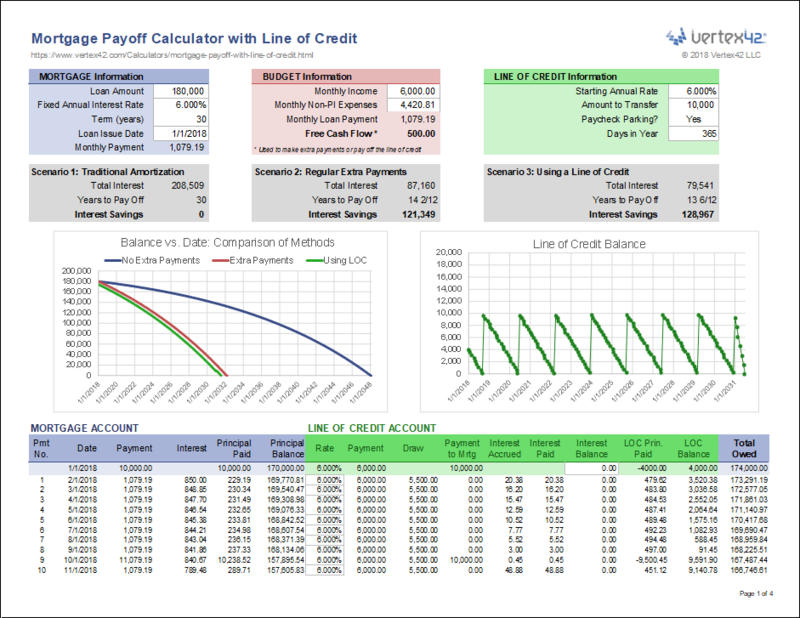 The technique of using a line of credit as an offset account is explained in detail in strategy 10. IMPORTANT: This spreadsheet is currently only a BETA version, meaning that it is still being tested, and may contain errors or bugs. The spreadsheet is not password protected, so you can pick it apart and analyze all of the formulas. This scenario is used as the baseline. It represents a person making only the normal monthly payment each month. 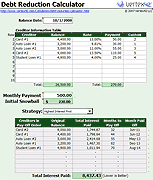 In this scenario, a person uses their free cash flow (income minus expenses) to make monthly extra principal payments on the mortgage. This scenario does not use a line of credit. In this scenario, a person makes a principal-only payment on the mortgage using the line of credit, then uses their free cash flow to pay off the line of credit balance, then repeats this process until the mortgage is paid off. Note: This spreadsheet has nothing to do with debt consolidation. The point of the line of credit is to maintain liquidity while making extra payments, not to get into more debt. That IS one of the big risks, though. When you select "No", the calculator simulates a person making monthly payments to the line of credit using the Free Cash Flow amount. The result is nearly the same as scenario 2. Minor differences may be due to a different interest rate on the line of credit. Why Use a Line of Credit instead of Extra Mortgage Payments? Liquidity. The liquidity of an asset has to do with how easy it is to turn it into cash, or how quickly it can be bought or sold. Your home is not a liquid asset. If you make an extra payment on your primary mortgage, that cash is effectively unavailable. Yes, you have increased the equity in your home, but you don't have that cash in your wallet or in your checking account. The only way to get the cash back out is to apply for a home equity loan, get a home equity line of credit, or sell your house. The whole point of a Line of Credit is to allow you to easily deposit and withdraw money as needed. So, if you make an extra payment on the balance of your Line of Credit, that cash is still available to you, up to your credit limit, and assuming your account doesn't get frozen. Why Might my Line of Credit be Frozen? One way this might happen is if you have a HELOC and the value of your home drops in price, reducing the value of the collateral used to secure your HELOC. When your HELOC gets frozen, you can't withdraw more funds. If you have deposited your paycheck in the HELOC, and don't have access to other funds, are you prepared to be without electricity, heat, food, etc.? Note that I'm not talking about "credit freeze" in the sense of purposefully freezing your credit with the credit agencies to protect against identity theft. I'm talking about something happening like a lawsuit (judgment) against you, failure to make debt payments or pay your taxes, or perhaps some catastrophe in the economy that causes banks to freeze your credit. Is the Technique Still Valid if the Rate on the Line of Credit is Higher than the Mortgage? Believe it or not, yes it is. I wasn't sure about that until I created the spreadsheet. If the rate is significantly higher, then you may want to keep the balance of the LOC lower. For example, instead of using the LOC to make a $15,000 mortgage payment, you could make a $5,000 mortgage payment. In the spreadsheet, this is the amount you enter in the "Amount to Transfer" field. You can celebrate each time you pay off the line of credit. For example, plan your payments so that you can pay off the line of credit within a year. The balance of the line of credit affects your credit score, so a lower balance keeps your utilization ratio lower. You maintain greater liquidity by keeping the balance of the line of credit lower. Have You Actually Tried It? Would You Try It? The line of credit approach is still theoretical to me. Although the people who have requested and used the spreadsheet have tried the approach, I personally have not. I have used the technique of making extra principal payments - it works great and it's easy. I like the benefit of liquidity that a line of credit provides, but I would not park my paycheck - too much of a hassle for too little benefit. But I Can't Qualify for a HELOC or PLOC. Don't worry. Thank goodness we just spent all this time explaining that making extra principal payments works just as well (minus the liquidity benefit). This might be a situation where contacting a knowledgeable financial advisor could help - maybe they could coach you on how to build your credit score or help you submit a successful application. Disclaimer: This calculator is only for educational purposes. The results are only estimates. Please consult a qualified professional regarding financial decisions.